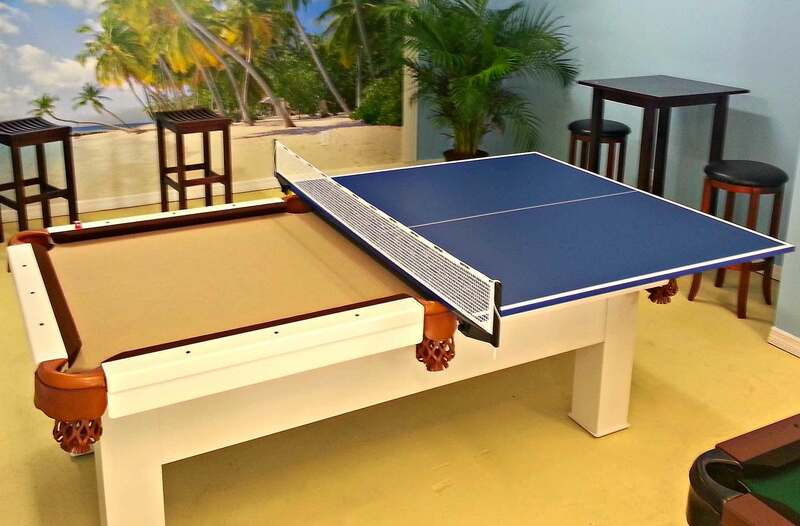 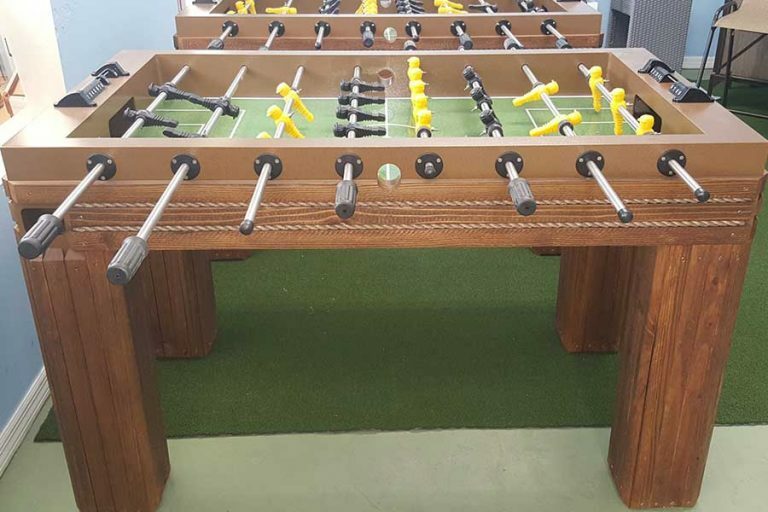 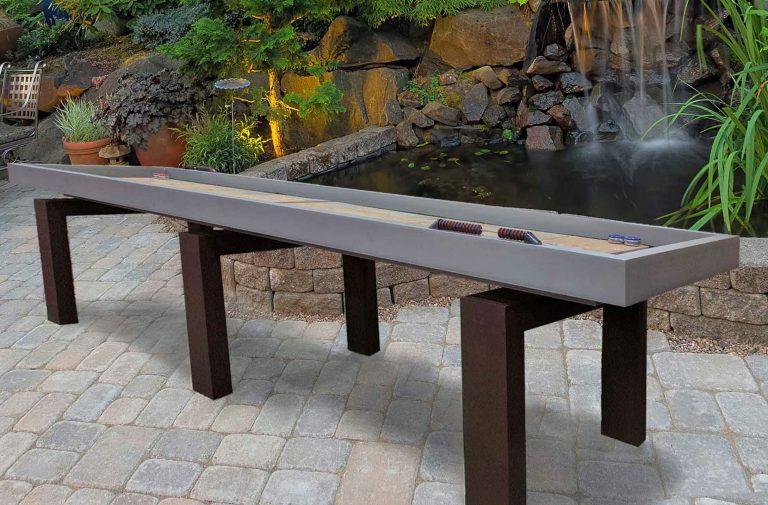 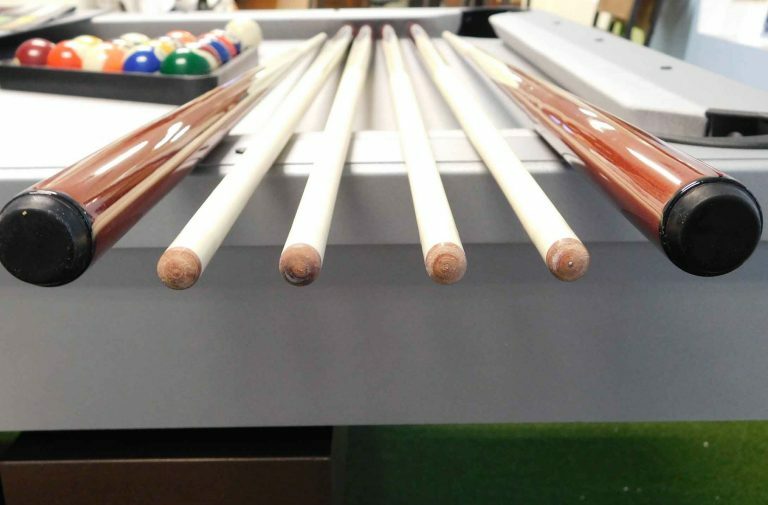 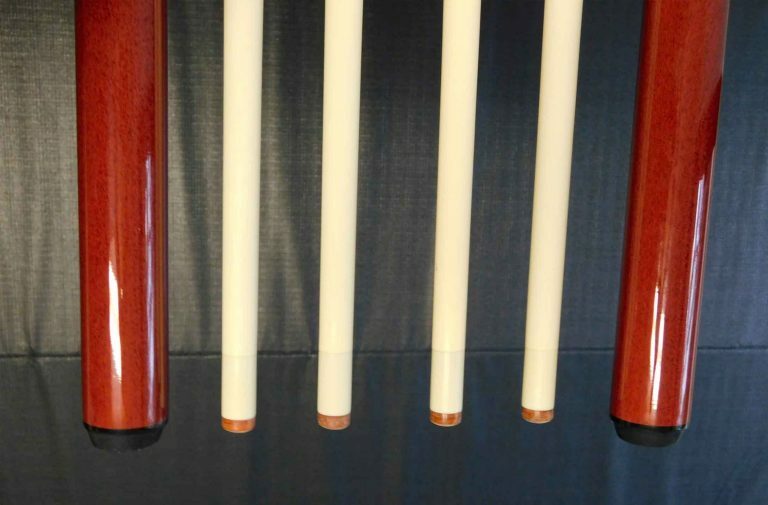 Our Table Tennis Conversion top fits beautifully over one of our pool tables in minutes. 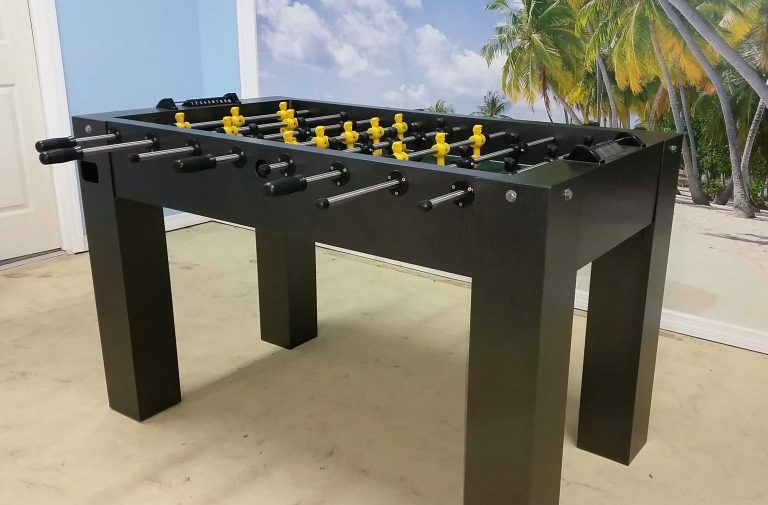 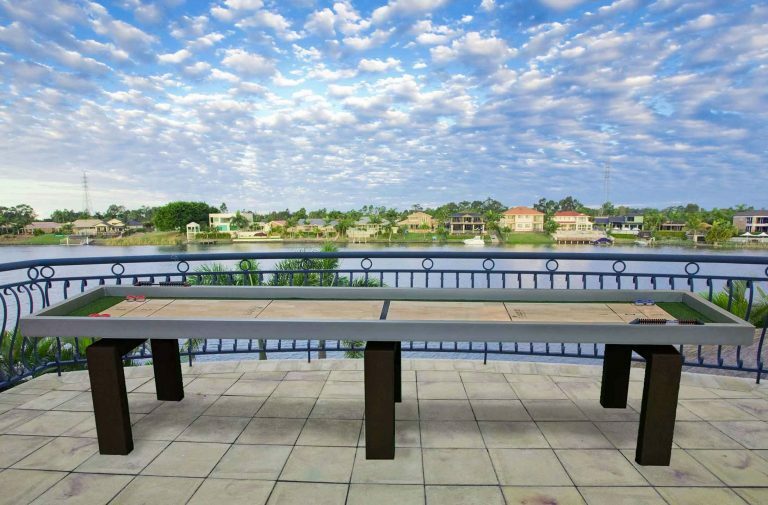 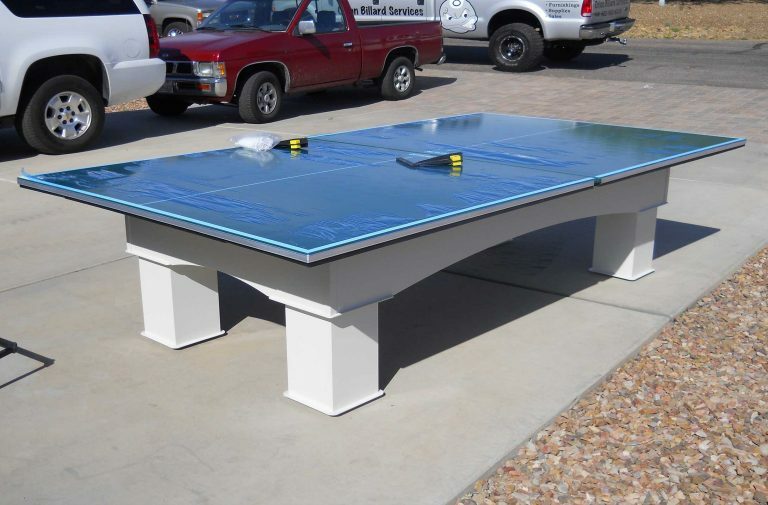 The conversion top is lightweight, regulation table tennis size and made for outdoor use. 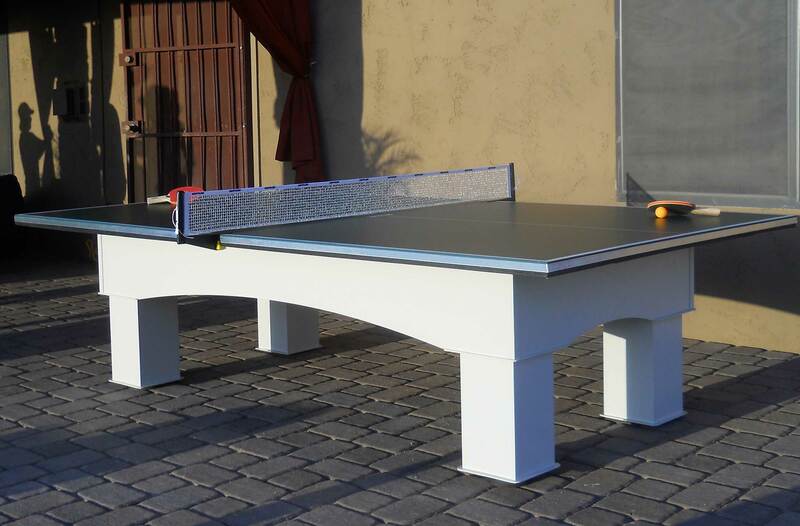 Conversion top comes with adjustable net.